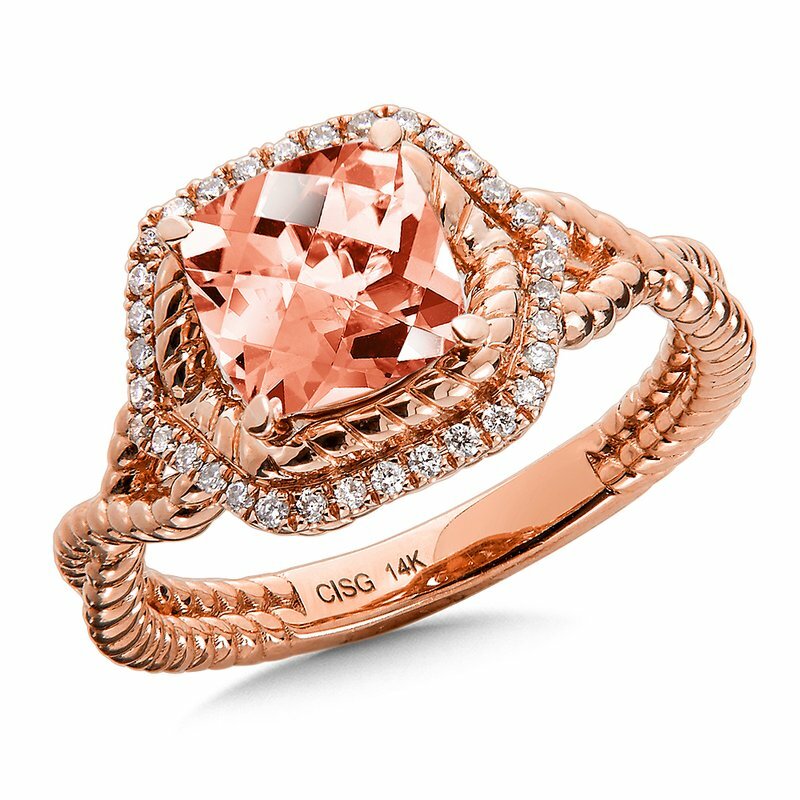 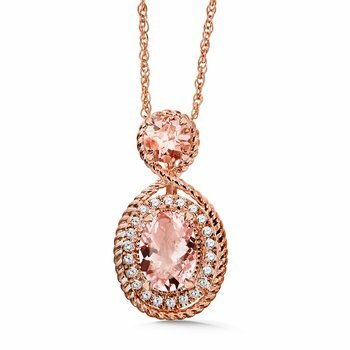 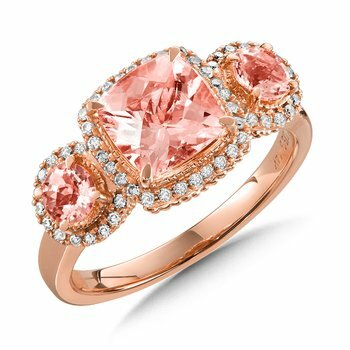 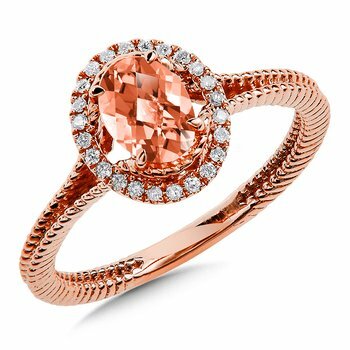 A blushing morganite ring accented with diamond stones and rope detailing in 14k rose gold. 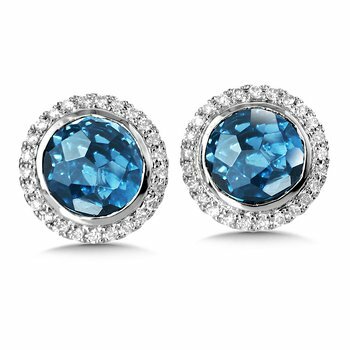 Cushion 7X7 mm center. 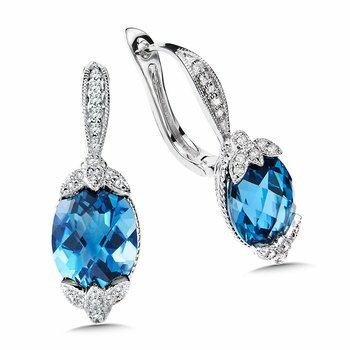 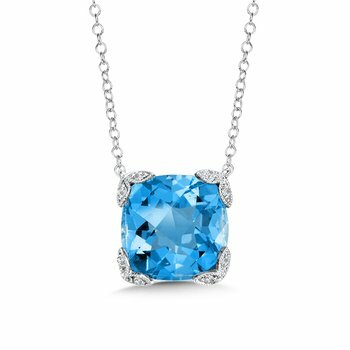 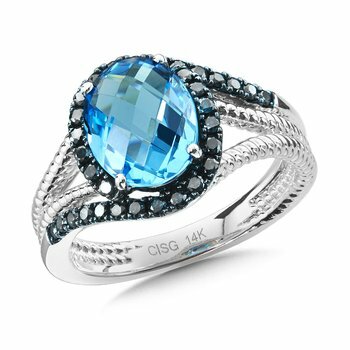 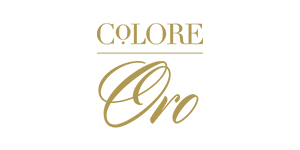 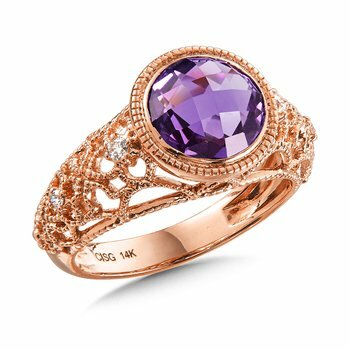 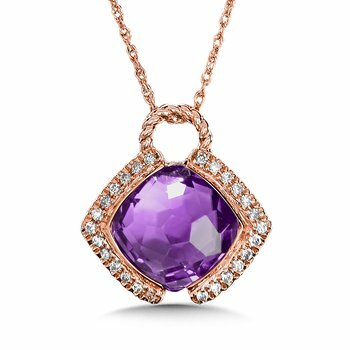 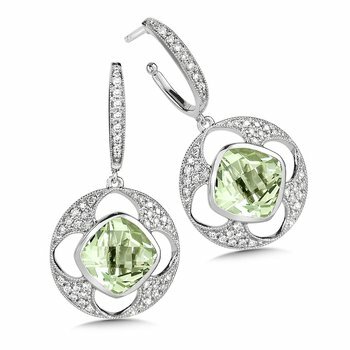 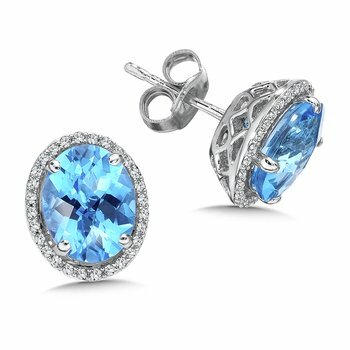 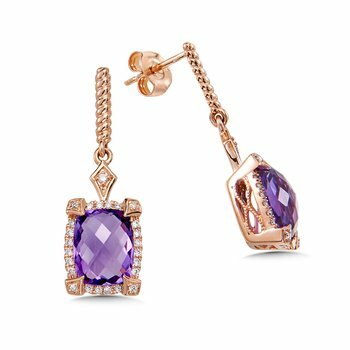 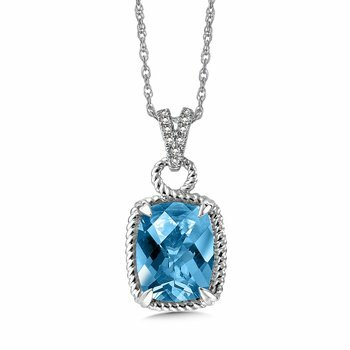 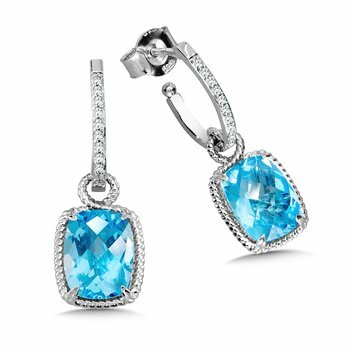 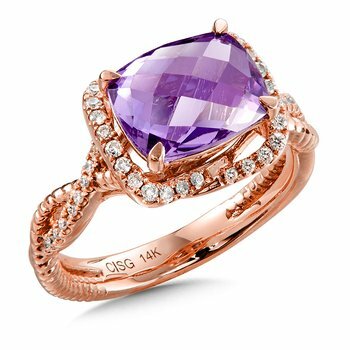 Available in 14K White, Rose, or Yellow Gold with the option of Amethyst, Swiss Blue Topaz, Garnet, London Blue Topaz, Morganite, Onyx, or Peridot Gemstones.